Courtesy of Cambridge Properties, Inc.. In all of Paradise Valley there is no more private enclave than the guard gated mountain oasis that is La Place Du Sommet, and this lot may be the most private of them all. Hidden away as close as one can get to the top of Mummy Mountain this lot is tucked behind an outcropping of rocks allowing it to be hidden from the rest of the community, but open to breath taking views. 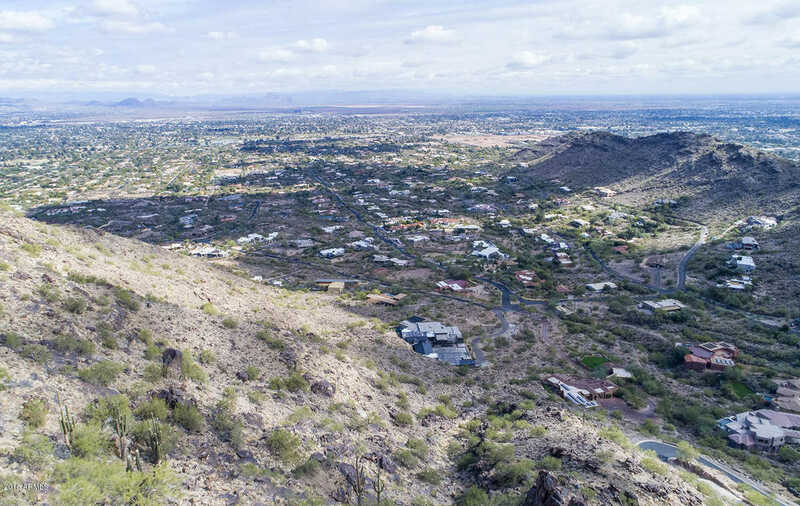 Gaze endlessly over the entire northeast valley with expansive views of the McDowell Mountains, Four Peaks and the Superstitions. This special 2.8 acre lot will be a canvas for your imaginations desires.